This is a wise, humane and practical book for anyone who wants to write; it guides the novice and re-awakens the veteran to processes and practices which can bring out the best writing in all of us. How To Be A Writer is the writing coach you always wanted but never knew how to find. Distilling thirty years of writing and teaching, author Barbara Baig serves up substance and support in her own sparkling prose. Any writer in search of encouragement and inspiration needs only one notebook, one pen, and a copy of this book. "If you are a writer in search of your unique voice, creative authority, and natural way with words, make How To Be a Writer the first book you read. 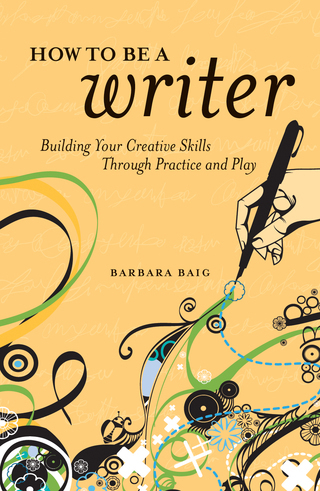 Aspiring communicators in any genre will benefit from Barbara's sound, timeless advice on the importance of skill-building, learning by doing, and making the most of the frustration certain to arise along the way. You'll walk away with a more complete understanding of how successful writing happens and how you can tap into your own innate writing ability." "For anyone who worries that writers are born, not made, nothing is more terrifying than a blank page waiting to be filled. Barbara Baig takes the mystery out of the process and shows that, with a little practice and an open mind, good writing can come to anyone."